Police say they found hundreds of pounds of chemicals considered precursors to explosive materials at Joseph Tilly's home. An Albion man is facing an arson charge related to a flash fire at his home last January that occurred when authorities said he was mixing rocket fuel. 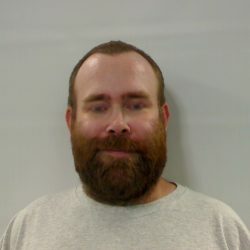 Joseph Forest Tilly, 36, was arrested Wednesday and taken to the Kennebec County jail in Augusta on charges of arson and criminal use of explosives. At Tilly’s initial court appearance Friday at the Capital Judicial Center via video from the jail, a prosecutor said agents executing a search warrant at Tilly’s home on Thursday found hundreds of pounds of chemicals considered precursors to explosive materials, much of those purchased using his father’s credit card. Assistant District Attorney Michael Madigan asked the judge to set bail at $25,000 cash. “There are significant public safety concerns in his case, your honor, not only for the community but for the safety of his father as well,” Madigan told Judge Cynthia Montgomery. Madigan also requested conditions of bail prohibiting Tilly from returning to the home where the explosion occurred, from contact with his father, Michael Gauthier, 63, and from possessing precursor chemicals and any incendiary devices. Madigan said Tilly spent about $30,000 of his father’s money, purchasing other items as well. Tilley was convicted in August 2013 of terrorizing and witness tampering after allegedly threatening a woman while stabbing her dashboard with a knife, an incident recorded by the woman’s daughter on her phone. For those offenses and for violating conditions of release, he was sentenced to 30 months in prison. Madigan said there was a fire at Tilly’s house on Clark Road in Albion on Jan. 26 this year and that the Fire Department was called. “The defendant said he was mixing rocket fuel in the residence and it ignited,” Madigan said. “He actually videotaped himself doing this.” Madigan said the videotape on YouTube showed a fire in a can used to hold 50-caliber ammunition, and “there were flames shooting upward 10 feet toward the ceiling,” Madigan said. The prosecutor said a full investigation began in April by the Office of State Fire Marshal and that Tilly admitted possessing or attempting to purchase the chemicals. A news release Friday from Steve McCausland, spokesman for the Maine Department of Public Safety, said state fire marshals and forest rangers returned to the house on June 22 “for a fire that started outside following another explosion.” There was no mention of that during the court hearing. Madigan also said Tilly posted ads online seeking to buy empty carbon dioxide canisters, and a fire marshal’s investigator acting undercover went to sell him some. Madigan said Tilly told the agent he could never mix the chemicals because of his felony conviction. Attorney William Baghdoyan, representing Tilly as lawyer of the day, argued for “much lower bail,” saying the event occurred eight months ago and Tilly used a fire extinguisher himself to put it out. Baghdoyan also said there are no laws against possessing the items and investigators found. Baghdoyan also said Tilly suffers from a number of different diagnoses, has no income, lives with his father, takes medication and goes to weekly counseling sessions in Waterville. Baghdoyan also refuted Madigan’s concerns about Gauthier being an abuse victim, saying the man works full time as a psychiatric nurse. Tilly stood next to his attorney during the argument Friday, saying only, “I understand, your honor,” when Montgomery told him that bail conditions go into effect immediately even though he is still behind bars. Tilly’s next court date is in November.